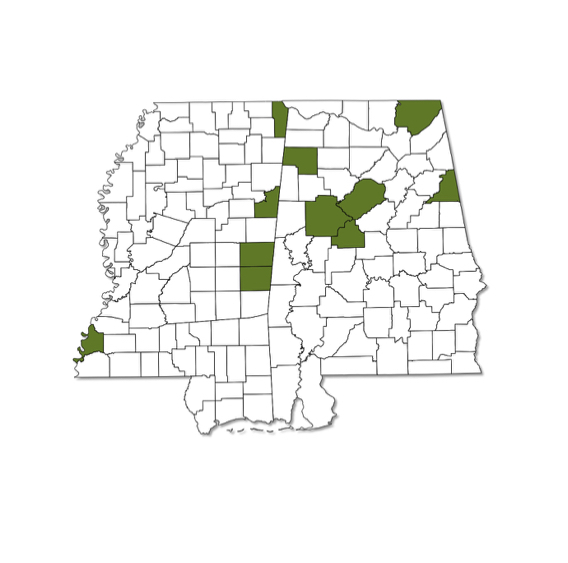 Expected to occur throughout most of Alabama and the southern half of Mississippi. Flies in the spring and always found near Yucca habitat; the caterpillars eat the leaves, burrow into the crown of the plant, and produce a "chimney" of silk at the opening of the burrow. 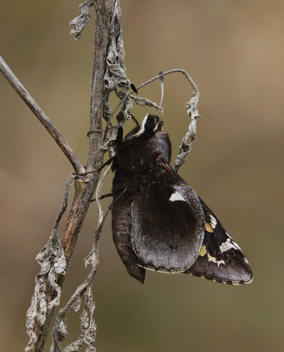 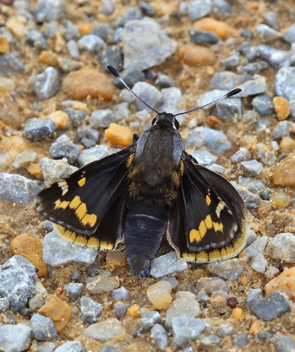 Large, blackish-brown skipper with frosting near the edge of the wings. 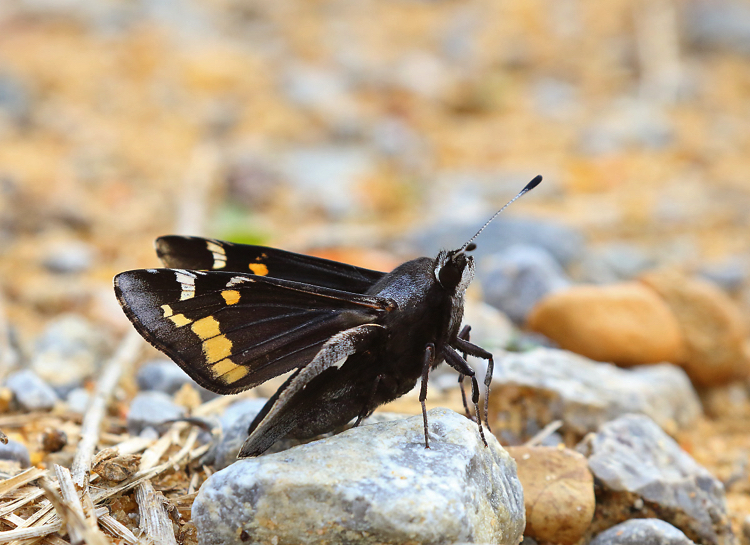 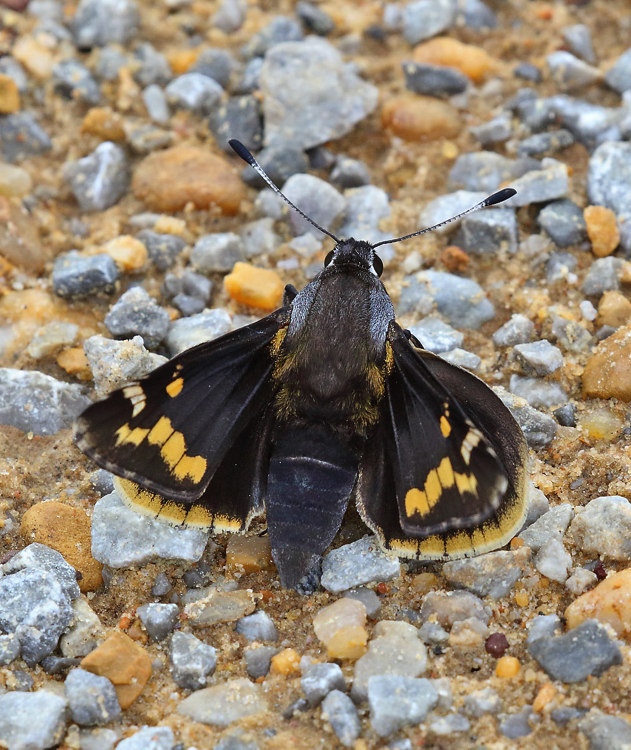 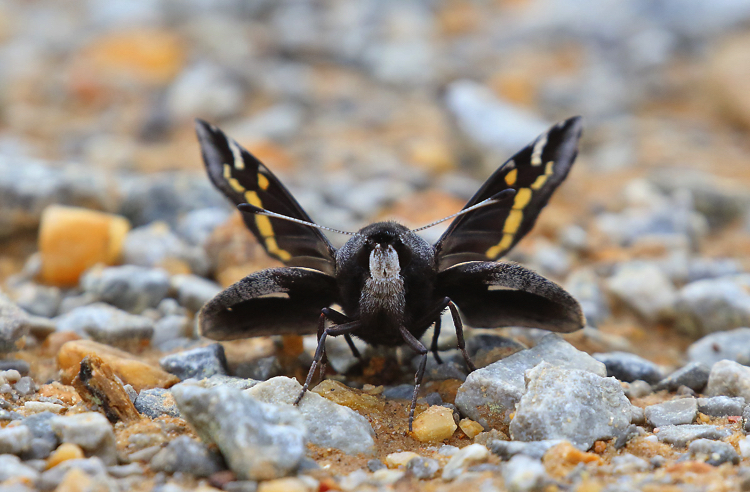 The upper surface of the wings has a yellow band that can partially be seen from the underside.